IVF is the most common type of assisted reproduction. With IVF, sperm and eggs are joined together outside of the body to form an embryo. The embryo is then placed into the mother's uterus. IVF is done for those who cannot have a pregnancy on their own. The woman takes hormones to help her eggs mature. A procedure is done to retrieve the eggs. 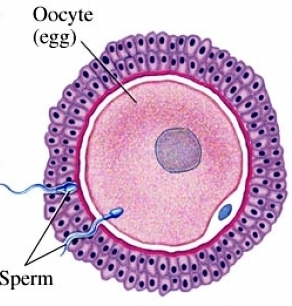 The man's sperm is mixed with the eggs in a lab dish to form an embryo. The embryos are placed into woman's uterus. Embryos implant in the uterus, resulting in a pregnancy. What are the reasons for doing IVF?How is this procedure done?What questions should I ask my doctor about IVF?Where can I get more information about IVF? Assisted reproductive techniques. Merck Manual Professional Version website. Available at: https://www.merckmanuals.com/professional/gynecology-and-obstetrics/infertility/assisted-reproductive-techniques. Updated January 2019. Accessed March 8, 2019. In vitro fertilization: IVF. American Pregnancy Association website. Available at: https://americanpregnancy.org/infertility/in-vitro-fertilization. Updated January 10, 2019. Accessed March 8, 2019. Infertility in men. EBSCO DynaMed Plus website. Available at: https://www.dynamed.com/topics/dmp~AN~T902812/Infertility-in-men. Updated October 5, 2018. Accessed March 8, 2019. Infertility in women. EBSCO DynaMed Plus website. Available at: https://www.dynamed.com/topics/dmp~AN~T116334/Infertility-in-women. Updated November 6, 2018. Accessed March 8, 2019. What is IVF? Resolve—National Infertility Association website. Available at: https://resolve.org/what-are-my-options/treatment-options/what-is-ivf. Accessed March 8, 2019.